Quick & easy. Versatile jumper, fully lined, & can be made reversible. 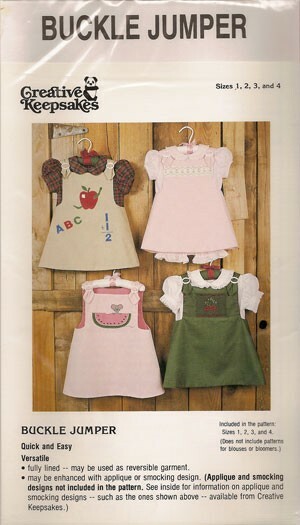 Front on the jumper is great for smocked inset or applique'. Pattern comes w/one set of white buckles to complete the garment. Blouse pattern not included.